This is a variant of the new Amazon Fire TV designed specifically with gamers in mind. The Fire TV Gaming Edition offers basically everything on the regular edition and more, including a redesigned game controller with voice support and two free games. Although the device is focused on gaming, it is an online media streaming device to the core with access to over 250,000 movies and TV episodes from the likes Amazon Video, Netflix, Hulu and many more services. Amazon Fire TV Gaming Edition is configured to provide breathtaking gaming performance, being equipped with a robust processor – very likely the same 64-bit MediaTek quad-core processor (clocking at 2GHz) that powers the new Fire TV. According to Amazon, this means users are in for 75% boost in processing power. The micro-console comes with a dedicated GPU to make for really superb gaming experience and better gaming capability than ‘any other streaming media box’ can offer. There are over 800 games available online for the Fire TV. According to Amazon this is the largest number of gaming titles for any streaming media player. Some titles that Amazon is promoting include Minecraft, Lego Star Wars, and Pac-Man 256. 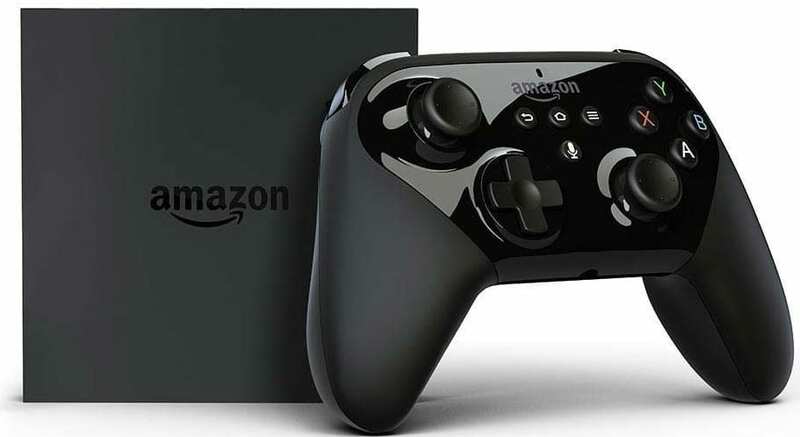 The new Fire TV comes with an improved game controller – bundled with the Gaming Edition but offered as an accessory for the regular Fire TV model. The new game controller parades a more ergonomic design and a feel similar to what you would expect of a regular game console controller. It features a Dolby technology-supported audio jack for private listening. The game controller has integrated microphone to allow you use voice controls for search and Amazon’s personal assistant Alexa. It also boasts improved battery life of up to 90 hours. Buyers of Amazon Fire TV Gaming Edition will be able to get two games – Shovel Knight and Disney’s Ducktales – with their purchase. The retail giant says it has raised its game offerings by about 500 percent, with buyers able to get more than half of the available games at 99 cents or less each. Fire TV Gaming Edition is capable of handling 4K UHD content like the regular edition. In addition to the inbuilt storage of 8 GB, there is a microSD card slot and a 32GB card is already provided by Amazon. You will possibly be able to expand storage by as much as 128 GB, which will be a plus over the Apple TV. The box offers longer battery life and supports dual-band Wi-Fi with MIMO. Amazon Fire TV Gaming Edition is now available for pre-order at the Amazon.com website. Fire TV Gaming Edition price is put at $139.99 (27,900 Naira) and will start shipping from October 5, 2015. Fire TV Gaming Edition ships to Nigeria and dozens of other countries.